RPG Fernz Gate for PlayStation®: Physical package arrives with Limited Run Games! 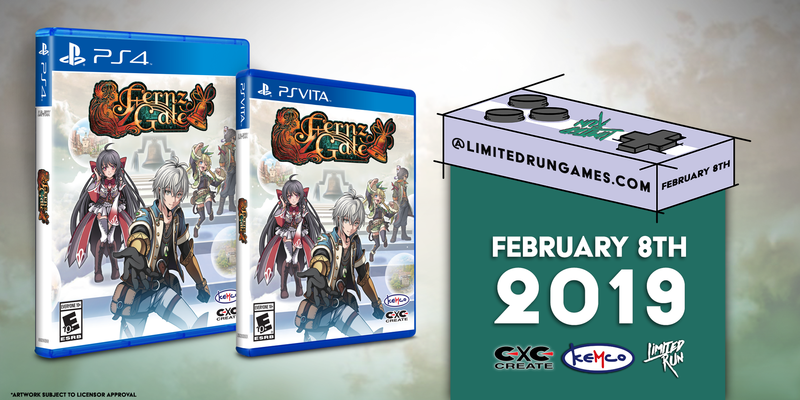 February 8, 2019 - KEMCO proudly announces the release of the physical package of Fernz Gate available through Limited Run Games today. The game is made available for PlayStation®4 and PlayStation®Vita. Standard price is $24.99. For more information, please visit limitedrungames.com.